This came in with Blake’s email. And we thought we’re obligated to share it with you. It is with great pleasure that we’re announcing The Irish Wakers will join us this July 1 to bring out authentic Celtic music to Vancouverites! 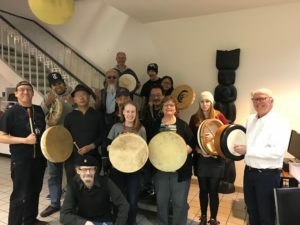 Formed almost 10 years ago, The Irish Wakers have been spreading traditional Irish music in the lower mainland, Vancouver Island, and the BC interior. In addition to traditional and more modern Irish songs and tunes, the band performs sea shanties and original material. During the 2010 Winter Olympics, they performed for large international audiences over three Saturdays at Irish House. Michael Burnyeat was inspired to take up the violin upon hearing a recording by the great Irish band Altan. 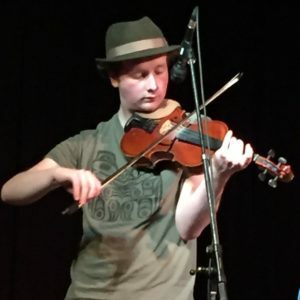 He started out with classical, but soon branched out to different fiddle styles, and now performs both solo and with various bands at venues across BC. He is the founder of the UBC Fiddle Club and leads the Jericho Folk Cub Jam Sessions. Michael has represented BC in the Canadian Grand Masters fiddle championships and is the current BC Provincial Fiddle Champion. 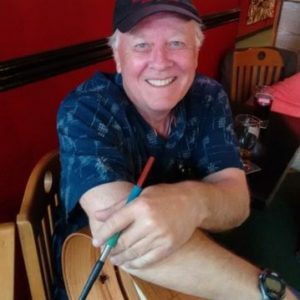 He also enjoys backing up singer-songwriters and is actively involved in the folk music scene in Vancouver. 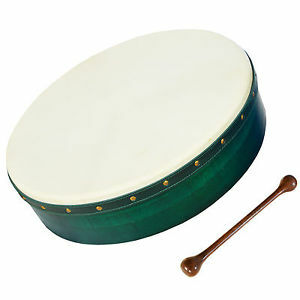 This fascinating traditional instrument, normally made with a goatskin, is a frame drum which can be played with a hand off the skin or with a wooden beater or “tipper.” While most countries have their own version of a frame drum, it is the playing technique that makes the Irish bodhran unique. In some parts of Ireland, its name is pronounced as “BOW-ran” (long O ) and in other parts one can hear “bow-ran” (soft o). Historically, the bodhran was likely used on farms to carry pieces of peat to the home to burn for warmth and, during harvest time, could be used as a winnowing tray for wheat. After dinner, when the hard farm work of the day was done, family members might bring out fiddles, flutes, whistles, or accordions and play tunes to help relax and entertain each other. If someone didn’t have an instrument, the little bodhran in the corner could be picked up and played by hand to join in the “Craic”—the music, fun, and good fellowship. Like many instruments, the bodhran can be the subject of jokes. For example: What is a bodhran? The bodhran is an instrument that everyone wants to play but nobody wants to hear! Bodhrans can be tuneable or non-tuneable, and come in different sizes, with and without cross pieces, and with various skin thicknesses. The simplicity of this drum fools people into thinking it is easy to play but it requires flexibility, stamina, and an innate feel for the unique rhythms of Irish music. When played well, it goes well beyond keeping the beat to contribute a unique tonality in support of melody instruments playing jigs, reels, hornpipes, waltzes, and polkas.